Our Management Team is here to provide you with tailored solutions and support for your investment needs. We are continuously seeking land and development opportunities which will deliver added value to our clients’ property portfolios. 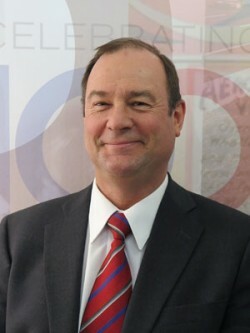 Alex joined Richard Noble & Company in 1993 and was appointed Managing Director in 1996. Previously he was with Perpetual Trustees WA Ltd for eight years specialising in asset management for a range of institutional and private clients. Alex holds a Bachelor of Commerce Degree in Property from Curtin University and is a Licensed Real Estate Agent. Alex was a member of the Urban Development Institute of Australia (WA) Council from 2005 and served as State President from 2009 until 2011. Alex is responsible for the co-ordination of all projects under management on behalf of institutional and property syndicate clients. He plays an active role in the strategic planning, management, marketing and presentation of Estates managed by Richard Noble and Company. 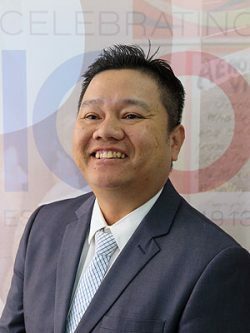 He is experienced in negotiating land acquisitions, capital raisings, project management, commercial sales, leasing and management, market research, town planning and negotiations with government authorities. Alex was the development manager for the $30 million first stage of the Cockburn Gateway Regional Shopping Centre located at the intersection of Kwinana Freeway and Beeliar Drive. Our astute industry knowledge allows us to provide a comprehensive range of services using the latest industry market monitors. Patrick joined Richard Noble & Company as Commercial Manager in 1996 and was appointed Commercial & Valuation Director in 1999. He has been involved in a broad range of real estate activities from valuations/consultancies, real estate agency including commercial property management, and land and commercial developments. Patrick has been involved in the real estate industry for some 38 years. He originally joined Colliers in 1985, which became Hookers, and was elevated to State Director of Valuations and National Valuation Coordinator. Patrick holds an Associate Diploma in Valuations from WA Institute of Technology. Since 2009 Patrick has also held the position as Chairman of the Board of Valuers with the Western Australian Planning Commission which involves compensation matters and after almost 10 years stepped down from this position in 2018. Patrick is a State Councillor with the API, and is also the Chairman of its Legislative Review Committee and an Institute examiner. The breadth of property experience is also recognised in Patrick’s recent appointment to the Government’s Property Industry Advisory Committee (PIAC) which reviews and advises on proposed legislation and legislative changes that affect property related matters. Patrick has also been involved in the valuation and negotiations for the sale of QV1 and a 50% interest in Central Park and undertaken numerous portfolio valuations for some of Australia’s largest organisations on a broad range of properties. 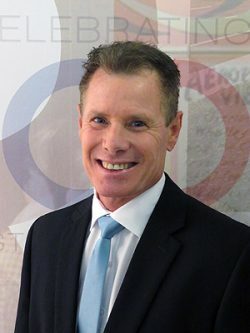 Through this experience, Patrick has built up a highly respected reputation as an authority in Western Australian property with contacts in the property investment industry throughout Australia. In his spare time Patrick enjoys travel, swimming, going to the gym and watching both Rugby and Football. 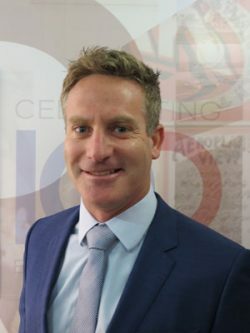 Peter commenced his career in property as a town planner and has progressed through his career to the role of Senior Development Manager working in the United Kingdom as well as Western Australia. Peter holds a Masters in Construction Economics and Management from The Bartlett at the University College London and a Graduate Certificate of Finance received from Macquarie University. Peter has experience delivering infill projects including UDIA award winning The Primary at Coolbellup (58 lots) and master-planned communities including Alkimos Beach (6,000 lots), Shorehaven at Alkimos (2,800 lots) and UDIA award winning The Village at Wellard (3,200 lots). Peter has a keen interest in the design quality, product mix and typology and creating valued public open space. Examples of public open space delivered include the Foreshore Park at Shorehaven, the nature play park and adventure park at The Village at Wellard. Peter’s focus on design quality has resulted in value-adding opportunities and asset optimisation, for the above projects, through the planning, engineering and landscape phases of the projects. 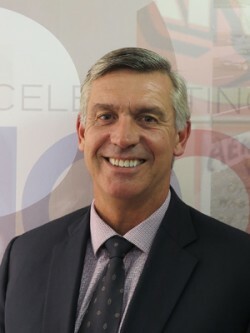 Peter is experienced in negotiating project acquisitions, project visioning, procurement, project management, sales and marketing, negotiations with government authorities and joint venture partnerships (public – LandCorp and Housing Authority and private). At Richard Noble, Peter is responsible for the planning and development is of the Company’s projects ensuring they are delivered within agreed commercial targets, meet market expectations and are responsive to changes in market conditions. In his spare time Peter enjoys playing squash, music, sports including Australian Rules Football, Football, Formula One and Rugby Union. Our strategies are based on an in-depth understanding of market trends, demographic analysis and long-term experience. Rod has recently joined Richard Noble & Company as Land Sales & Marketing Manager and is passionate about selling property. Rod Wright is a real estate professional with a career spanning over 20 years. He brings a wealth of experience in all facets of land development. Having worked for national and international companies on numerous land development projects, he now joins the team at Richard Noble and Company as Land Sales and Marketing Manager. Rod is a consummate professional who loves dealing with customers to help realise their property dreams. His overall knowledge and experience enables Rod to find a solution for everyone’s benefit. Rod is a licensed real estate agent and a current triennial certificate holder. In his spare time Rod enjoys karate, gym, running and spending time with his two daughters who he spoils rotten! I have over twenty-two (22) years’ experience working in a diverse retail property asset management industry. I have held various positions with different ASX listed and international property companies in both Australia and US markets. My experience ranges from managing shopping centre pre-development, through development and stabilizing after development as well was project leasing and retailer development. • Developed and implement 5 year strategic asset plans inline to achieve organisation objectives and exceeding annual KPI’s. • Completed 3 major developments in the US with Westfield (San Francisco Centre (CA), Oakridge Shopping Centre (San Jose) and Sarasota Square (FL). • Highly experienced in lease negotiations and ability to understanding technical leases and commercial drivers to developed long term strategies to ensure balance of good tenancy mix and lease renewal. Also detailed knowledge of the complex Majors Leases and Retail Leases Act to understand landlords and tenants rights. • High degree knowledge of financial indicators and P&L to formulate, presented and managed budgets, forecast and monthly financial reports with providing in depth monthly commentary on income/expense/NOI/Forecast/CAPEX projects. • Experienced in project management and a “hands-on” approach when it comes to facilities management and logistics. • Able to navigate tough situations but using consultation with internal and external stakeholders to gain favourable result without jeopardising relationships. • Knowledgeable in workplace health and safety, environment, quality, building code, health inspection requirements and EEO legislation. Promote minimise risk management; solutions resolution, incident reporting. • Driving new and diverse income outside of the tradition retail rental revenue i.e. digital and billboard advertising, CML, partnerships and sponsorship. • Created strategic marketing plans by analysing market research and using different channels to effectively communicate to B2B and B2C with a strong focus on customer experience and retention to increase frequent visits and constructive feedback. I hold a Post Graduate Diploma in Marketing (Macquarie University Sydney) and WA Real Estate and Business Sales Representative Licence. I played competitive rugby and tennis as a junior and now enjoy rounds of golf and cycling on the weekends.